Spending a few summer weeks in Alaska to build this treehouse for the Mt. McKinley Princess Wilderness Lodge was a dream come true. It was an honor to bring Grace VanderWaal's treehouse dreams to life! 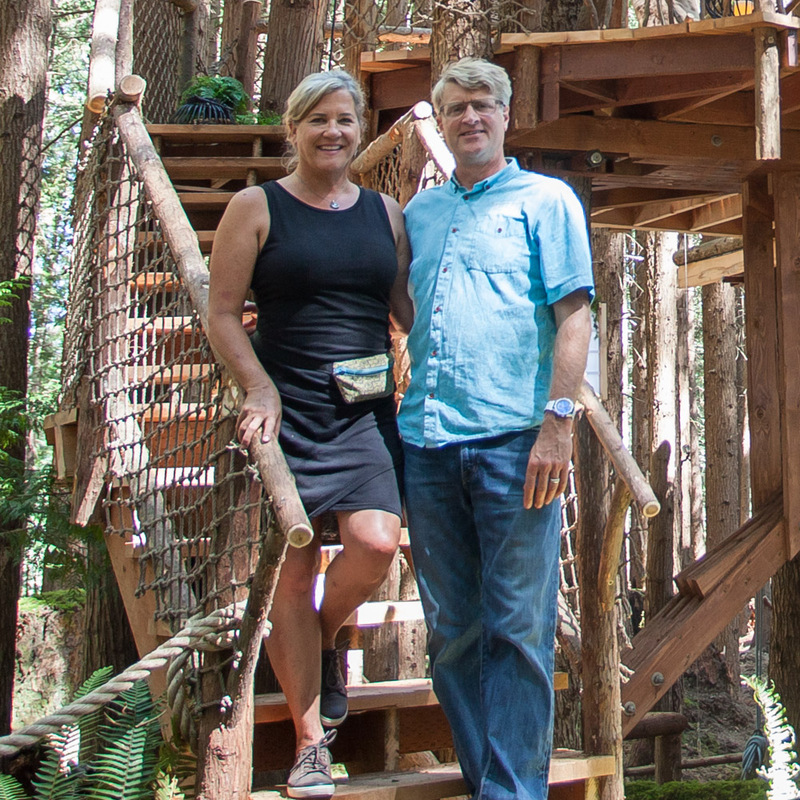 With two pods, a bouncy bridge, bedroom loft, and plenty of hangout space, Grace's treehouse makes the perfect zone for rest, play, and creativity. Pete and the crew integrated contemporary architectural design with a grove of live oak trees for a sleek and chic treehouse retreat. Nestled over nine feet high in a grove of sycamore trees, this two-story treehouse makes for an idyllic honeymoon retreat. This treehouse is dressed to the teeth with treehouse splendor, yet manages to balance luxury with a minimal environmental footprint. This treehouse stays close to its Hill Country roots with locally-sourced reclaimed wood, rough-sawn and weathered textures, and a capacious size. Four of our carpenters took to the trees overseas to build this treehouse, designed by renowned Norwegian treehouse designer Frode Schei. Our first international build was an incredible experience!